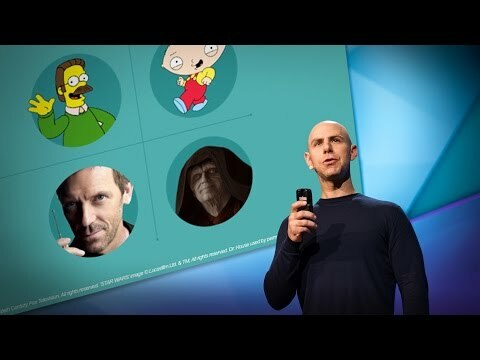 A few months back Adam Grant was on the 10% Happier podcast. He is a professor of organizational psychology at Wharton, he focuses on workplace issues and has his own podcast about it. His recent work, including a book, is about what he calls givers, takers and matchers. I just came across his TED talk and thought it did a really good job of summarizing his thoughts and applies to pretty much all group dynamics. What I liked most was his divorcing giving and taking from being agreeable and disagreeable. Also, pronoia. applies to pretty much all group dynamics. However dharma goes beyond the commonplace psychology of group dynamics and beyond self cherishing maitri Dharma aims to be far more skilful, eventually utilising pronoia as its active take. Great word/insight, many thanks. Maybe I didn't sell it well enough. He shows data that shows that givers are both the least successful and the most successful depending on other additional behaviors and he goes into how to build cultures that promote giving.